Our customer asked us to make the most of a light and airy room in his home by creating a sophisticated home study design. He required a work desk and storage for his technology, along with bookshelves and display units. It was also important that the fitted furniture didn’t interrupt the spacious feeling of the room. 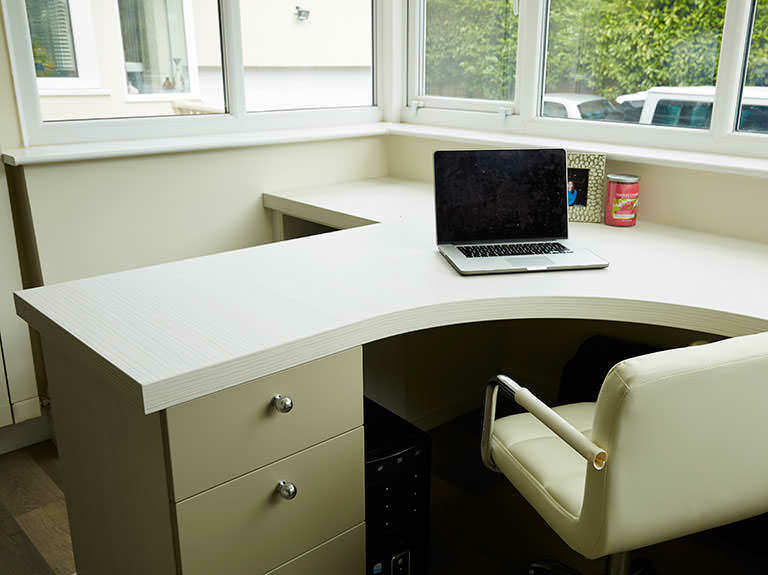 A spacious desk was fitted against the wall, providing an uninterrupted view of the garden. With a peninsular design and curved shape, the desk provided a comfortable work area that received plenty of light throughout the day. An additional space was available to the side, complete with storage for various items and equipment. Below the additional desk space, a slide out storage feature was fitted. 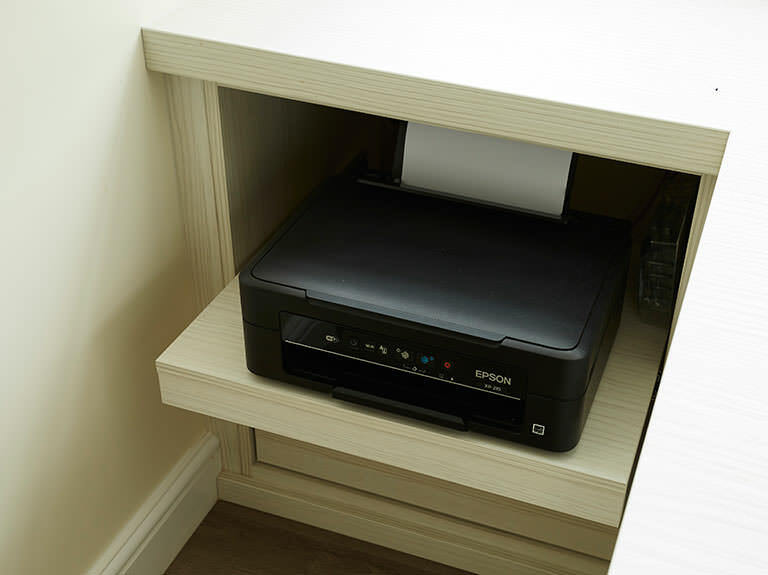 This meant that the customer could easily access the printer without it taking up any worktop space. Other low level drawer units provided general storage and filing. 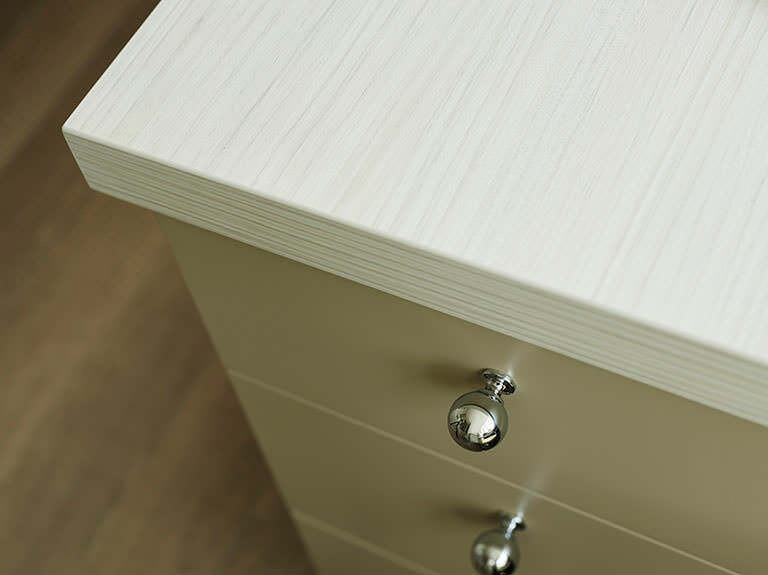 All our fitted furniture is tailored uniquely to our customers’ tastes. Our designer presented a range of different designs and finishes to the client, who chose a light colour scheme with a two-tone Sage and Pearl. This was applied across the contemporary, curved profiles of the Optima range. This choice of muted shades worked wonderfully in the bright space. In order to optimise the space across the two back walls, we designed and installed bespoke units. This was configured to include soft close drawers and shelves, as well as tall cabinets and a display area. 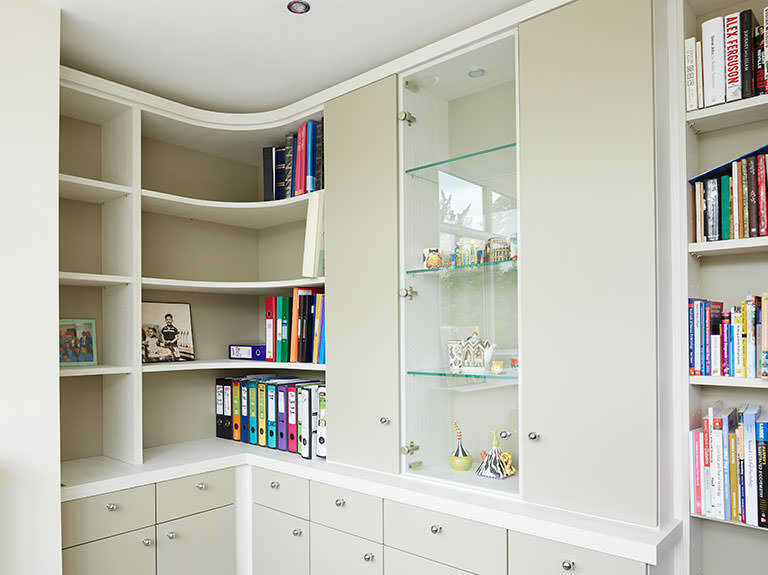 We installed curved shelves to the corner bookcase to compliment the aesthetics of the curved peninsular desk. A full glass fronted display cabinet was incorporated into the design. 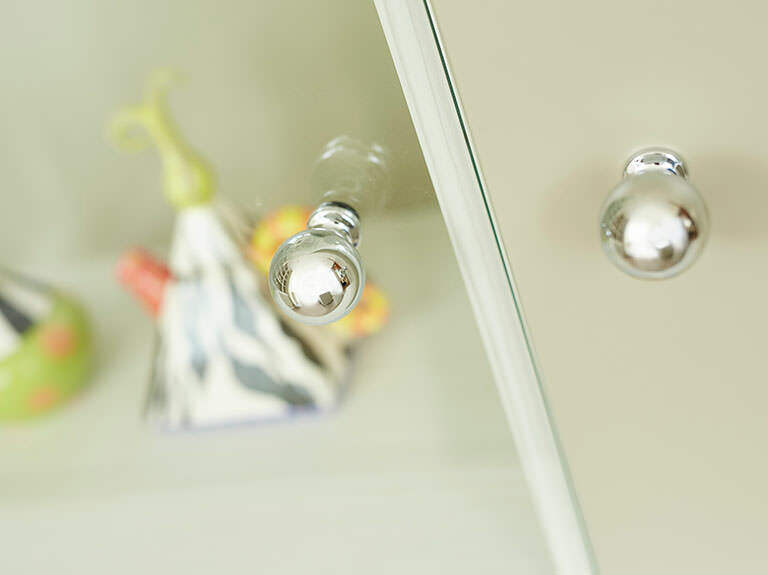 Complete with matching glass shelves, this elegant design feature was the perfect way for the customer to proudly display their treasured items. 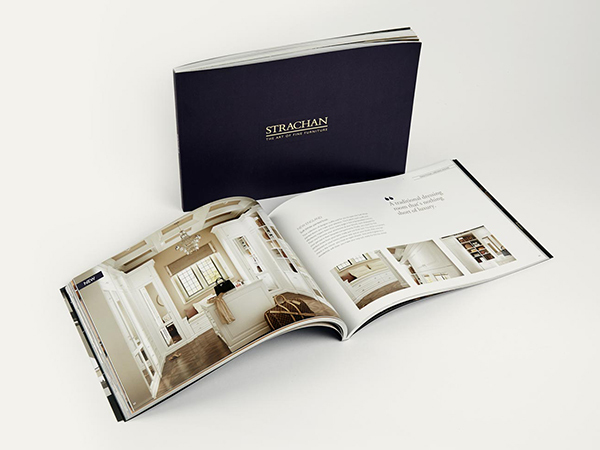 The corner space was utilised with appealing bookshelves for the customer’s literature and documents. 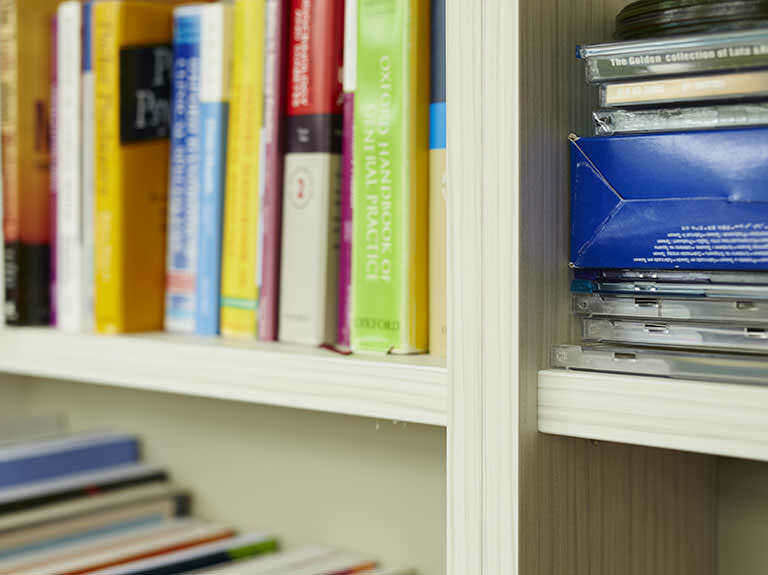 The narrow space to the side of the tall storage cabinets was also optimised with reduced depth bookcases to make the most of the available storage space.